It’s an unpleasant possibility that you might get sick with the flu. That means you are going to be a walking and talking virus carrier. Family, friends, coworkers, and anyone else who comes into contact with you will risk getting sick with the flu. Once you have it, it typically must run its course through your body, and you will just be down for the count during this time. When it hits, you know! Fever, chills, aches, body pain, and a potential of other symptoms set in to take you down! Fortunately, there are a number of things you can do to help yourself get through these tough times and reduce the chances of anyone else also getting sick. If you become sick, be a good person and try to protect others by limiting your contact with them. Also, cover your nose and mouth when you cough or sneeze. Avoid using doorknobs and handrails or other surfaces that people are likely to touch since that can easily transmit the flu virus. Disinfect and clean anything that is likely to be contaminated, such as frequently grasped or touched surfaces or objects. This includes some of the shared touch-points around the house like the remote control, the refrigerator handle, silverware drawers, pantry cupboard doors, and the microwave buttons and door handle. Additionally, an alcohol-based hand sanitizer can also be used to make sure your hands are as clean as possible if water and soap aren’t nearby. If you have a question about a brand of hand sanitizer or an over-the-counter flu medication you purchased, please bring it into the South Coast Medical Group in Aliso Viejo during the weekdays or weekend, and we will be happy to provide any answers we can. Antiviral medications are designed to help treat the flu should you become infected with the virus. Unlike antibiotics, antiviral medications do not combat bacteria invading your body but rather help prevent viruses from spreading throughout your body. These are prescription medications that are not available over-the-counter. While antiviral drugs can’t be taken before you get the flu, they can help make the duration of your sickness shorter and less severe. Additionally, they may prevent serious flu complications, like a very high fever, that requires hospitalization. Children and adults who have high-risk factors should immediately seek a doctor for antiviral medication in order to reduce the risk of severe complications. Although antiviral medication can be very effective, the CDC’s studies show that they work best when treatment begins within 2 days of getting sick. Treatment with antiviral medication after 2 days of sickness can be helpful but ultimately may not be as effective as starting treatment early. If you are prescribed an antiviral medication by your doctor, then it is important that you follow all instructions for your medication. Don’t get caught off-guard. So here’s a reminder of the common early flu symptoms to look out for: fevers or high temperature, coughing, throat soreness, a running nose or stuffy nose, bodily aches, headaches, chills, and a general feeling of fatigue. If you or your children develop these flu symptoms, please visit South Coast Medical Group in Aliso Viejo for a medical evaluation and any necessary treatment to help reduce flu severity. By following these tips, you can help yourself and others during Flu Season. 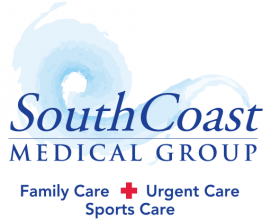 If you have any questions about urgent care or would like to schedule an appointment, please contact South Coast Medical Group at 949-360-1069. Previous Article Why Should I Get The Flu Shot?